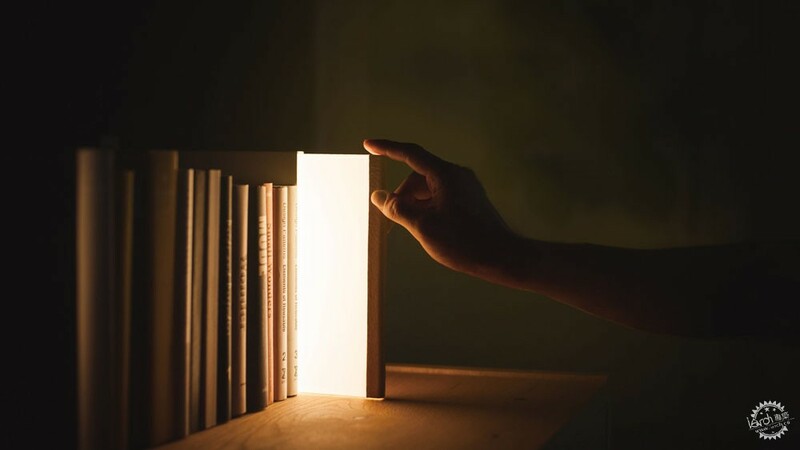 Japanese designers presented lights that showcased traditional craft, were created from delicate materials, and are made for small homes, at Designart Tokyo. 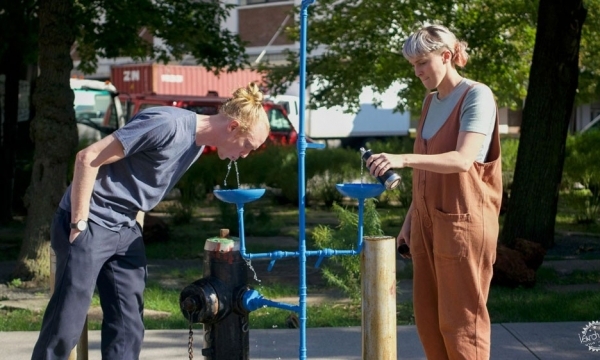 Dezeen's design editor Augusta Pownall picks five of the most interesting. Many design studios showing lighting at Designart Tokyo, which took place 19 - 28 October 2018, drew on Japanese architectural forms such as shoji (translucent paper room dividers), and craft techniques such as gold foil metalworking. Several other designers created lights that could be easily moved to cast light where needed in space-strapped Japanese homes. Akii is a product design studio consisting of designers Naoaki Iwamatsu and Takeaski Maeda. 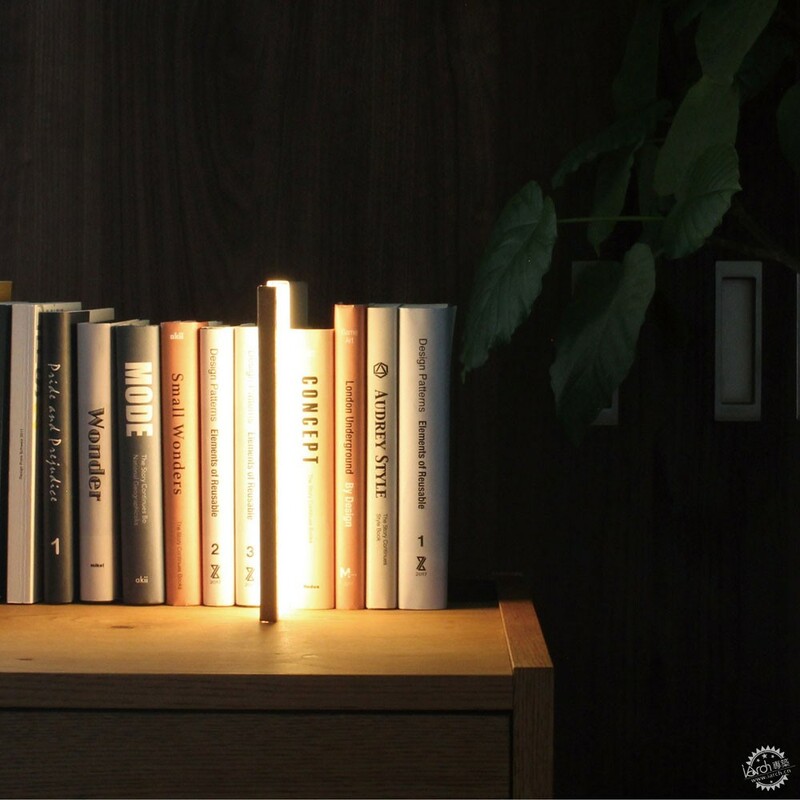 The duo showcased two products that use LED lights to solve specific problems, finding a particular book on a dark bookshelf and a light that can double up as a storage unit where space is a premium, as it is in Japanese homes. 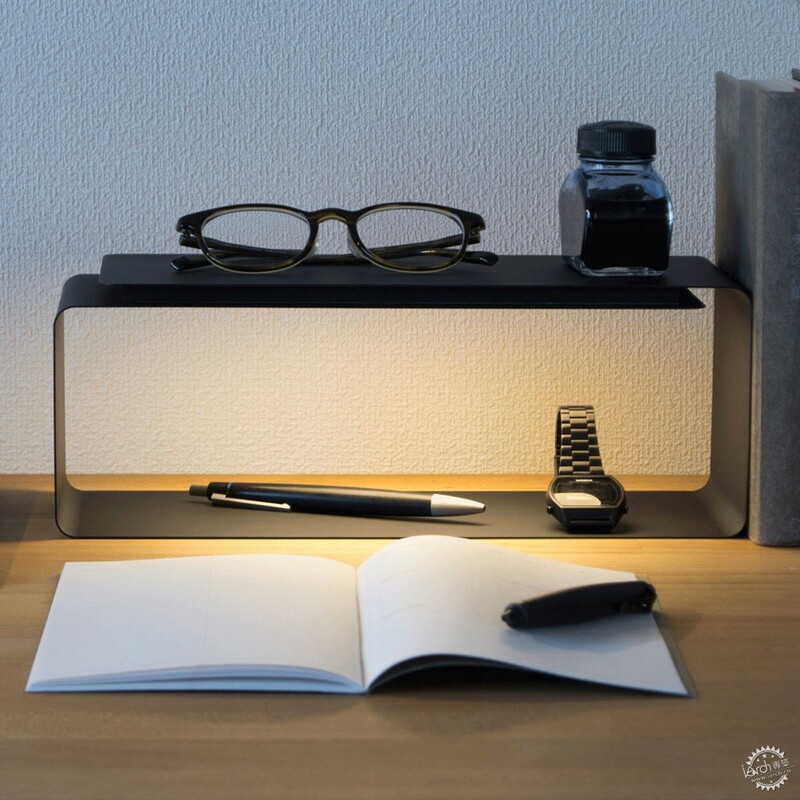 Light shelf is 30 centimetres wide, the width of an A5 book, and made from millimetre thick steel plate, hand-bent to form a square. Small items can be stored in the hollow space. Night book is the size of a regular volume with a spine that looks like that of a book when standing on a shelf. 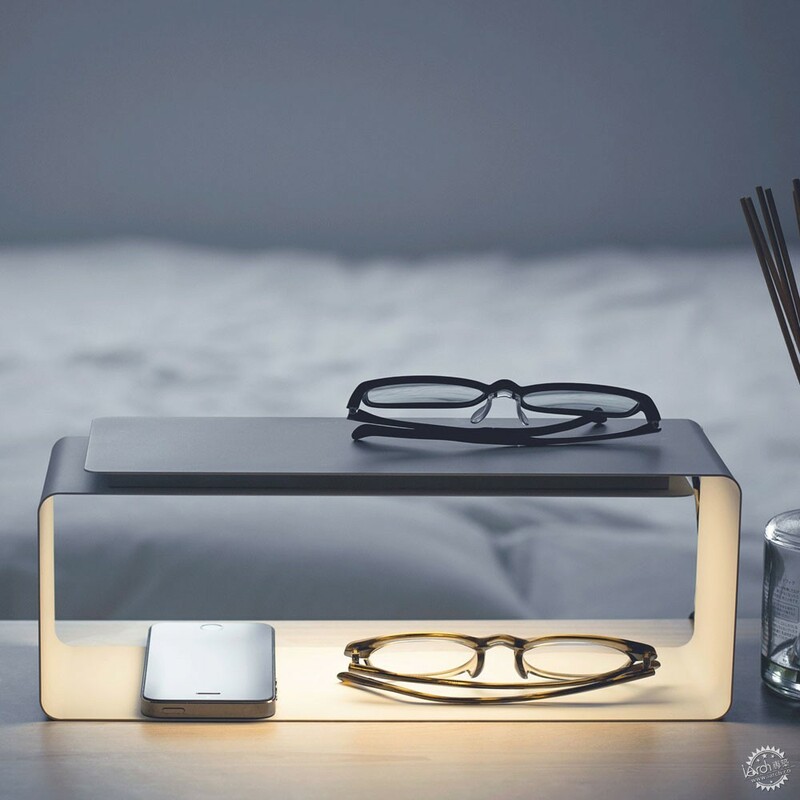 When pulled out of its casing, it lights up the surrounding space with a soft glow. Hiroto Yoshizoe won the Lexus Design Award last year for his "construction material" Pixel, which he showed in a new configuration. 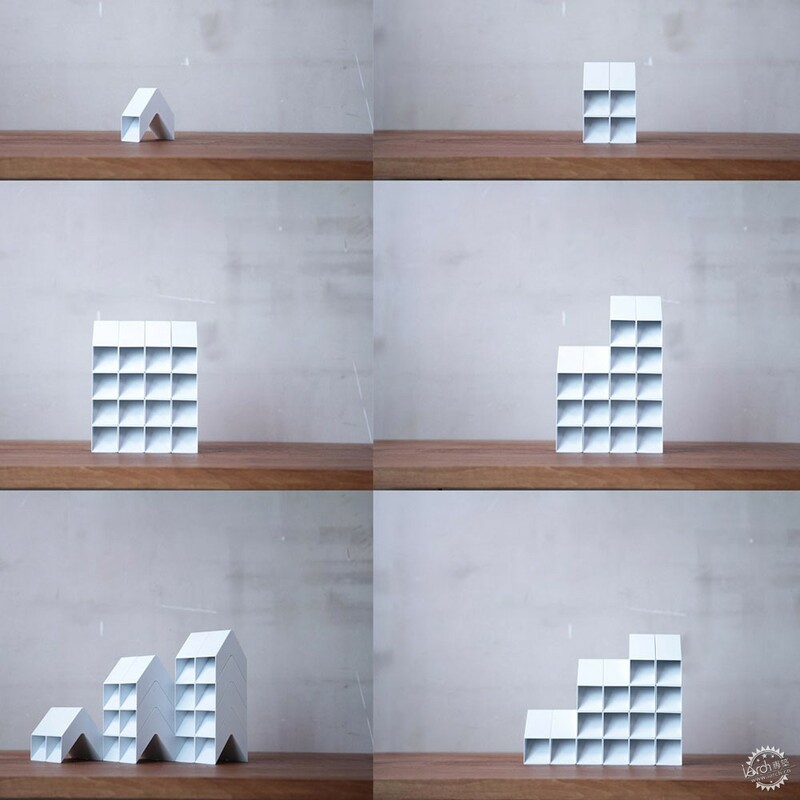 "Pixel is a V-shaped structure that looks like a hybrid between a shoji and a brick," said Yoshizoe. "As light passes through paper, it can create a type of light that has even more layers." Yoshizoe uses the whitest paper he can find, to best reflect light. As well as being a decorative item, the piece was developed as a small unit of building material that can be assembled into a ceiling or wall. 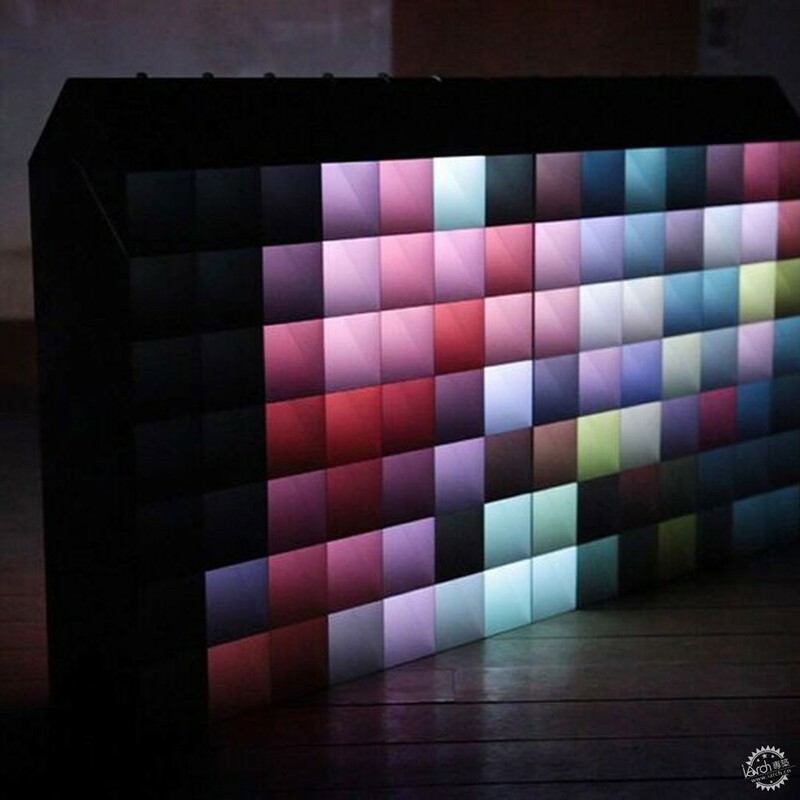 It works using an internal mechanism, which reflects the light waves four times, and mixes them into one colour that then appears on the surface. "It looks like it’s a digital projection, but in fact its an analogue mechanism that simply projects the reflections from the back," said Yoshizoe. 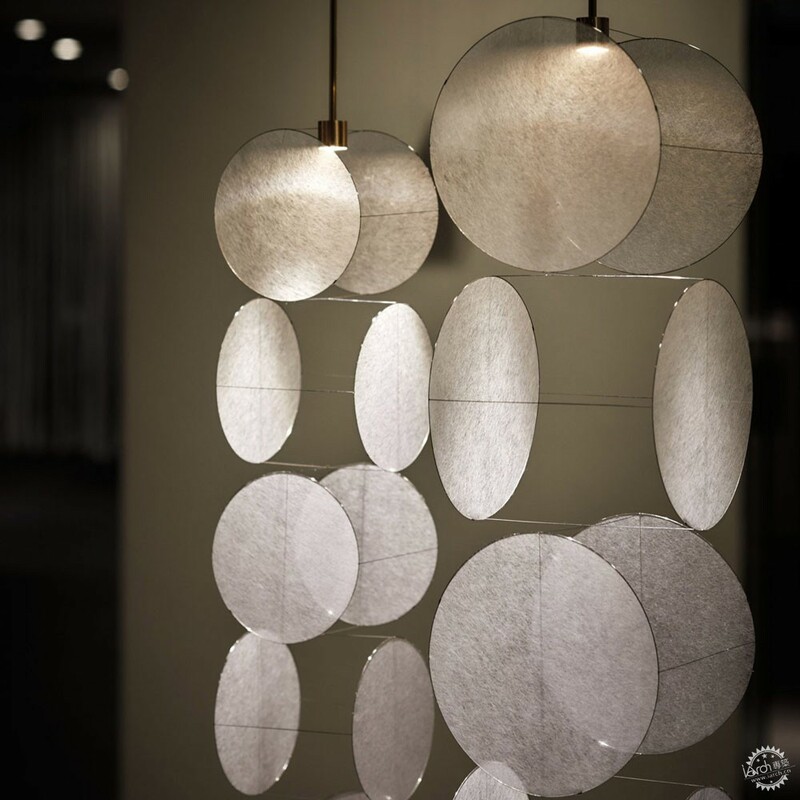 The design studio founded by Baku Sakashita looked to both Isamu Noguchi's Akari light sculptures and London-based lighting designer Michael Anastassiades, for the Suki collection – Suki in Japanese can mean transparency, making paper by hand, empty space, or refined taste. The lights are made from semi-translucent tengujo paper and wire, with the light source visible amongst the layers of paper, "to give some space". The light creates geometric shadow patterns on the floor and walls. "Technically, each part is made by hand, and I attempted to bring traditional skills including the application of the skill of using water when stretching paper over a flame to make Japanese shoji to sublimation," Sakashita told Dezeen. 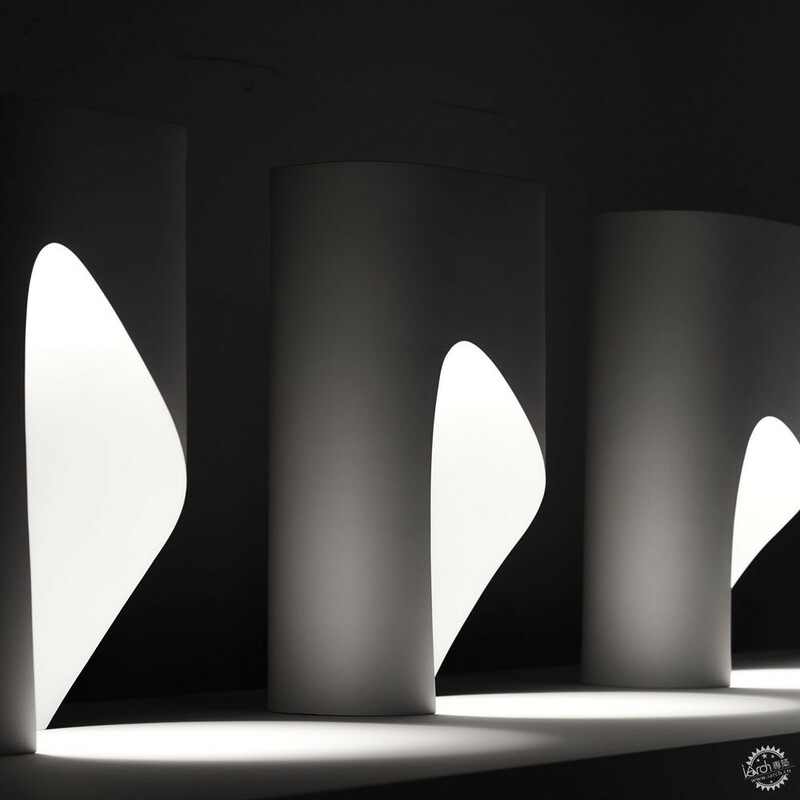 Oculus is a set of four white freestanding lights, by RKDS – a design studio led by Ryuichi Kozeki, which can be easily moved around the home to light different areas. For each piece, Kozeki 3D-printed a plastic form modelled using computer-aided design (CAD), cutting an undulating line through the shape so that each casts a round circle of light on the ground, resembling a big, round sun. 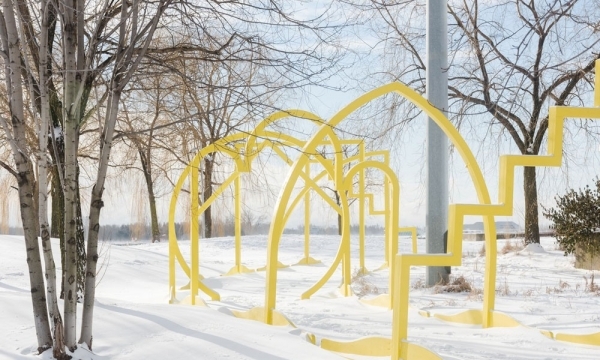 Kozeki likens his designs to a piece of architecture. With the simple forms constructed from straight and curved lines, he wanted to "explore the relationship between lighting and something more fundamental". 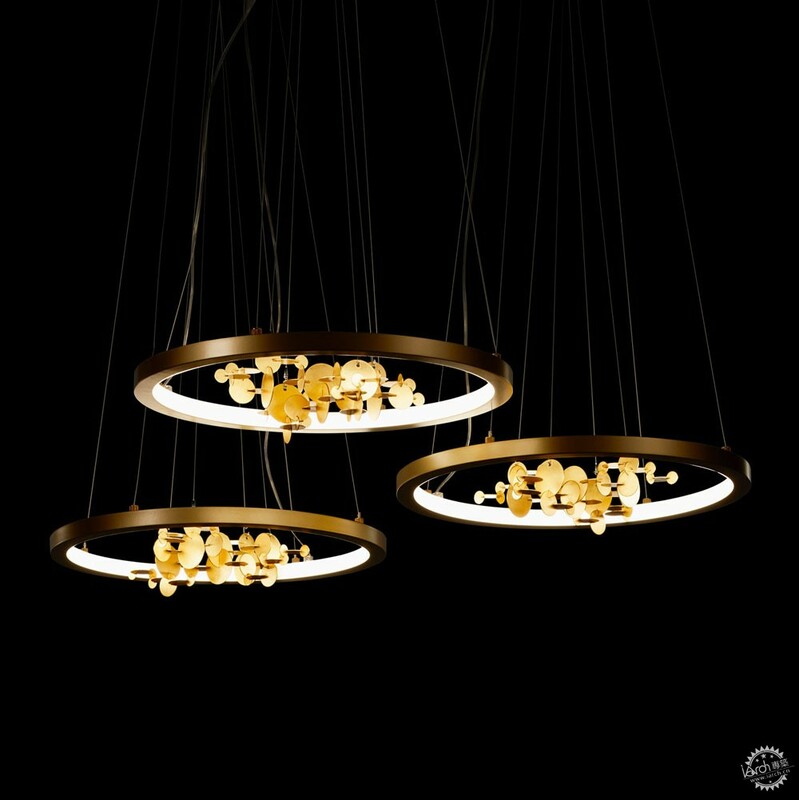 Makino has combined an extrusion-moulded aluminium ring inset containing LED lights made in Italy, with gold foil discs produced in Kyoto by master metalworkers. The light draws on his experience of living in both cultures, combining "the beauty of sunlight that comes through the leaves in Tuscan forests and the refreshing feeling of the morning glow in Japanese nature." The designer spent time in Italy working for Piero Lissoni, who he says has a great respect for Japanese culture, before moving back to Japan to set up his own design studio. "When I lived in Japan, no-one told me about Japanese culture. I had to find out for myself," he told Dezeen. The word 'wa' has various connotations in Japanese, including circle, harmony, connection, and emotional ties or bond, which Makino hopes are reflected in the design.